Wow! 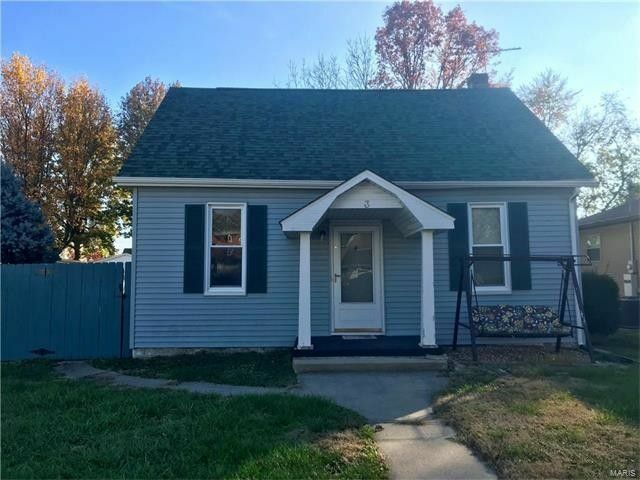 4 bedroom and 2 bath home is ready for new owners! The huge eat-in kitchen is loaded with cabinet space and all appliances stay. The laundry room is conveniently located on the main floor with washer and dryer included. Carpet in living room and family room replaced in 2016. Water heater and toilets -- 2015. Roof and siding -- 2013. Fenced yard with detached 2 car carport in back of property. Home is conveniently located and a very short walk to the public library. Quick access to I-64 and Scott AFB. Buyer to verify all information. Directions: From Hanover Street, go north on N. Franklin Street and turn right onto E Birch Street. Home will be on your right.